Business cards are one of the most important marketing tools. Not only are they inexpensive to carry around, but also easy to share with clients and customers. A well-designed business card has the capability to promote your business. It must look professional or otherwise it will only throw off your client. 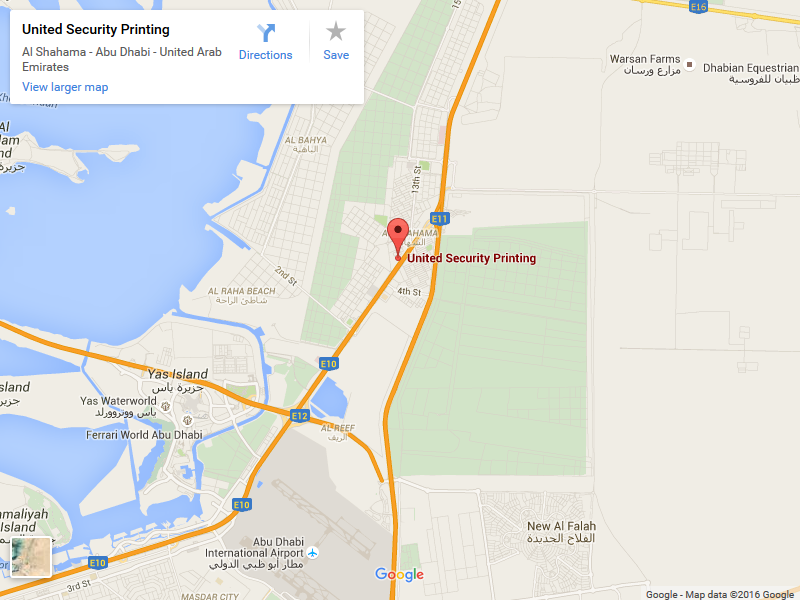 United Security Printing offers the finest business cards Abu Dhabi printing and designing services. We have our own technical team to take care of the business card designs. Whether you want a logo, or a QR code designed and printed on the business cards, We will take care of it! USP offers the most professional quality business card printing services. Our business card printing Abu Dhabi service uses the latest technology to make sure that the business card is printed according to the required industry standards. We make sure that the card has a visible logo and text information. We use a professional quality material to ensure clear and clean digital printing. A small or an unreadable text on a thin and cheap material only results in a bad impression. We use all types of business card material from plastic printing, vinyl to the recycled and renewable materials. The recyclable materials are used for gift cards whereas the plastic and vinyl is reserved for contact cards. The business cards are mostly kept in pockets and wallets. Many customers choose to fold them and this puts wrinkles on a business card, wearing it out slowly in the long run. On the other hand, a plastic business card does not fold and helps to keep you connected with potential clients for a long time.